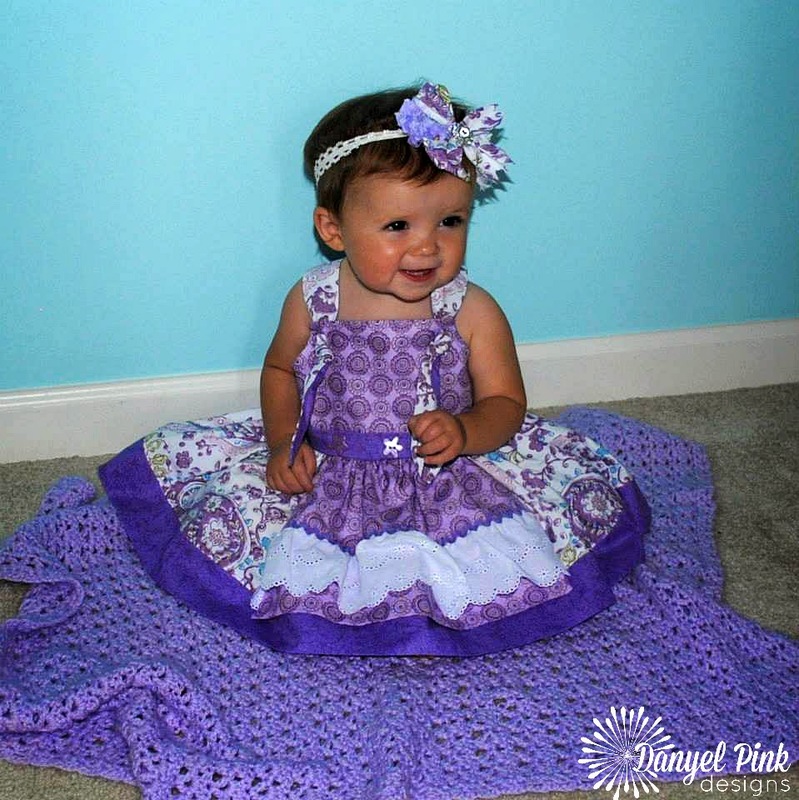 A college friend contacted me & inquired about having a lightweight crib blanket made for her daughter. She told me her baby girl roasts at night & she wanted something light with "breathing holes". So I took on her challenge & came up with this airy, lightweight afghan. The whole blanket weighs less than 8 ounces! 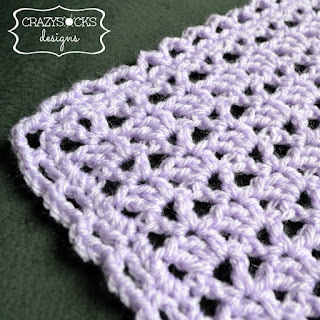 There are a million afghan patterns out there, but I wanted something simple & fun to crochet. This pattern is just 2 repeating rows, so you can get into a rhythm & whip one up in a couple nights while you watch TV or sit on your deck. Any soft sport, lightweight, or baby yarns will work fine. FINISHED SIZE: My blanket is 25" wide x 34" long. GAUGE: Approximately 8 DC and 4 rows = 2"
Row 2: CH 3 (counts as first DC), turn, work 3 DC in each CH-1 space across, DC in top CH of turning chain. Row 3: CH 3, turn, V-ST in 3rd DC (2nd DC of 3-DC group), *skip 2 STS, V-ST in next; repeat from * across to last 2 STS, DC in top CH of turning chain. Repeat Rows 2 and 3 until afghan reaches desired length (ending after row 3). Fasten off OR continue on for border. You can do any kind of border you like, but this is what I did. Round 1: CH 1, turn, SC evenly around, working 2-3 SC in each corner, join with SL ST to 1st SC. Round 2: CH 1, SC in next, *CH 3, skip 1 ST, SC in next; repeat from * around, CH 3, join with SL ST to 1st SC. A scalloped or picot edging would look very nice on this blanket also. ﻿☞ © 2013 Danyel Pink. You may sell what you make, but please credit Danyel Pink Designs for the pattern. You may NOT resell the pattern, distribute it in any form, post it elsewhere online, or alter it to claim it as your own. Please provide a link back to my blog instead. Contact me with any questions or for pattern support.